Cactus Hills South - Open floor plan , all bedrooms on the 2nd floor.. come to see it before it's gone.. MLS#2080448. Evolve Realty. Highlands Ranch - No need to wait for months of build time! MLS#2083462. Realty Brokers, Inc.
Beazer Souther Highlands - Modern Kitchen With Granite Counters, Stainless Steel Appliances, Ovens & Burners, & Granite Top Island W/Breakfast Bar. MLS#2082690. BluePrint Realty LLC. Highlands Ranch - 3rd flr Master & addtl 3 bedrooms upstairs and full bath. Culdesac &Backyard done! ! MLS#2083335. Keller Williams Realty Las Vegas. 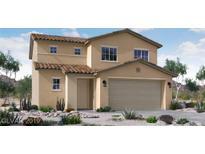 Bella Vicenza At Southern Highlands - Set On A Cul De Sac Lot. MLS#2083281. Apollo Realty and Management. Cactus Hills Estates - Masters can be your own mini penthouse get away with relaxing master bathrooms A CALIFORNIA EXODUS FAVORITE MLS#2083041. Platinum R.E. Professionals. Belmont Park - Kitchen & Dining Combo Overlooking Great Room. Courtyard Entrance. Nice Touches. MLS#2083146. Keller Williams Southern Nevada. Estates At Southern Highlands - Stunning property is complete w massive rear garden w multiple terraces overlooking the dramatic infinity edge pool & spa MLS#2082736. Simply Vegas. Royal Highlands At Southern Highlands - Enjoy your sparking pool, with pebble tec shell, water and fire features as well as your own pergola and fire pit. MLS#2082758. Vegas Realty. Highlands Ranch - Solar Screens Throughout, Tankless Water Heater, Stainless Steel Appliances with HUGE Expanded Built-In Refrigerator, Upgraded Ceramic Tile Throughout, and MUCH More. MLS#2082482. Love Local Real Estate. Park Paseo Southern Highlands - Dog run on side of house. **Washer/Dryer and Fridge included. MLS#2081514. 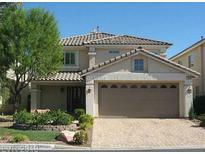 Realty ONE Group, Inc.
Bella Terra At Southern Highlands - 2 car garage and lots of storage. Move in ready! MLS#2082031. BHHS Nevada Properties. Bella Vicenza At Southern Highlands - Check out the community amenities Great parks and walking trails. A CALIFORNIA EXODUS FAVORITE MLS#2080720. Platinum R.E. Professionals. Parks And New Costco Nearby And Much More!! ! MLS#2082069. Signature Real Estate Group. Resort Villas At Southern Highlands - Main House 1 Story W/2 Master Bedrooms, Large Casita Has Rooftop Cabana W/Beautiful Views, 4th Bedroom/Den Has No Closet - No Homes Directly Behind Private Lot - Lush Lndscpng - Gated Courtyrd - Stone Accented Walls - Granite Cntrs - Gourmet Ktchn W/Built-in Frige - 3 Car Tandem Garage MLS#2081741. Keller Williams Market Place. Highlands Ranch - Master can be your own retreat with huge walk in closet & spa like master bathroom. TOO MUCH TO LIST MLS#2081610. Platinum R.E. Professionals. Highlands Ranch - Dont miss this beautiful like new home! !Wont last long! ! MLS#2081457. Realty ONE Group, Inc.
Southern Highlands*single Story Home*over 1,700 Sq Ft*3bed 2ba*2car Garage*formal Living*separate Family Dining*upgraded Kitchen Great For Entertaining*breakfast Bar*nook*built-in Desk*open Family Room*larger Masterbed W/Ceiling Fan*walk In Closet*spa Like Bath*sep Tub/Shw *dbl Sinks*sec Bdrms W/Ceiling Fans*larger Desert Landscaped Lot*close To Shopping, Dining, Parks, Schools & More* MLS#2081138. Keller Williams Market Place. Bella Terra At Southern Highlands - Bring your buyers, they won't be disappointed! This one will go fast! ! MLS#2079366. Southern Highlands Realty Corp.
Triana Southern Highlands - Located within a gated community in the Master Plan Southern Highlands Upgraded kitchen counter tops, stainless appliances. Security gate MLS#2081614. 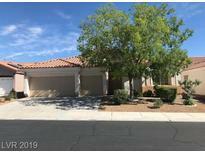 Compass Realty & Management, L.
Royal Highlands At Southern Highlands - Large master with walk in closet, large tub and balcony.LEASE BUYOUT-30 DAY MOVE-IN MLS#2081041. Turn Key Property Solutions. San Niccolo Southern Highlands - Owner Is Also Going To Install Matching Tile In The Bathrooms Upstairs. MLS#2081045. Signature Real Estate Group. Montagne Marron At Southern Highlands - Master Is Connected To A 4th Bedroom That Can Be Used As A Nursery Or Exercise Room...Covered Patio...Sun Deck...Waterfalls... This Wont Last Long! ! 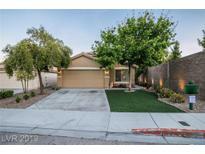 MLS#2080854. NextHome Integrity. Montagne Marron At Southern Highlands - Stainless Steel Appliances And Washer Dryer Inc MLS#2080966. Innovative Real Estate Strateg.